"Actually, I kind of like this beer!" Photo by Brett Homenick. If you ever wondered if actor Kazuki Kitamura ever did anything else than chew out tuna-eating monsters for failing him in his quest to conquer the world, here's the answer you're looking for. Kitamura is currently starring in an ad campaign for Kirin Nodogoshi Strong. The Godzilla: Final Wars star also appears in a TV commercial for the beer, which you can view here. While out and about today in the neighborhood, I stumbled upon this. I don't think I've ever seen this before, but I might be dropping a few coins here in the near future! This was the scene today at the Hotel Gracery Shinjuku. Hugh Jackman might think he's the "Greatest Showman," but I think the real deal is standing right above him. 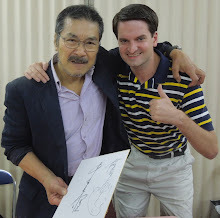 Tonight was spent in the company of former Godzilla series SFX director Teruyoshi Nakano, whose career at Toho spanned several decades. 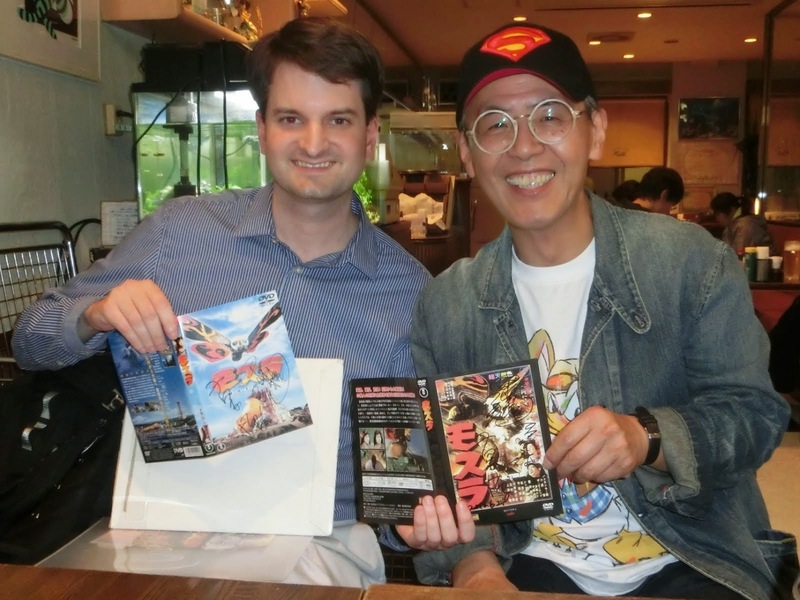 I don't think there are many movie biz folks in Japan I've been around more than Nakano-san, but it never gets dull. He's always got a story to tell! This afternoon, I attended another live reading by actor Masanori Machida, best known as the young boy from Nikkatsu's sole monster movie, Gappa the Triphibian Monster (1967). 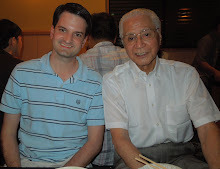 I had just seen Machida-san last month, but the timing worked out extremely well, so I decided to stop by again. 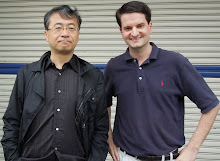 It's always great to visit Machida-san. 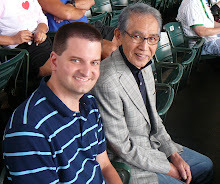 Not only is he such a friendly guy, but Gappa remains a favorite of mine. AN EVENING WITH A CINEMATIC LEGEND! 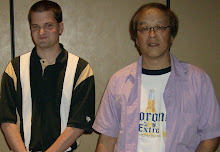 Meeting Cinematographer Daisaku Kimura! 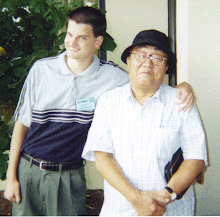 Daisaku Kimura. Photo by Brett Homenick. 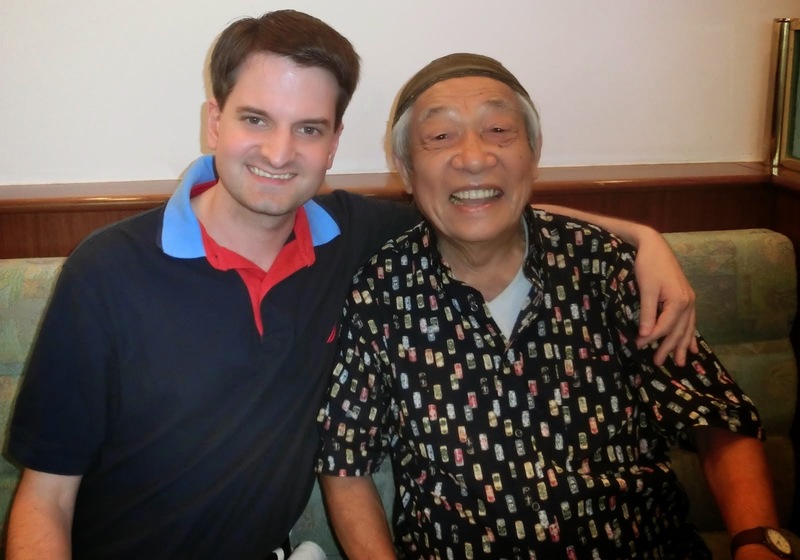 Earlier this evening, I attended a special dinner event with cinematographer Daisaku Kimura. 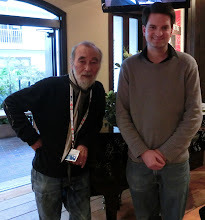 A good case could be made that he is the greatest cinematographer in Japanese film history. A quick look at some of his credits ought to be an indicator: Submersion of Japan (1973), Blue Christmas (1978), Virus (a.k.a. Resurrection Day, 1980), and Station (1981), among many others. In 1958, Kimura-san joined Toho Studios and worked as an assistant cameraman under Akira Kurosawa, during which his most prominent credit was Yojimbo (1961). In 1973, he became a cinemtographer in his own right. Blue Christmas and Station are two of the best-looking movies I've ever seen, and Kimura-san filmed both. 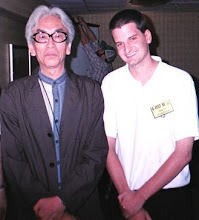 Suffice it to say, it was a true honor to meet him. 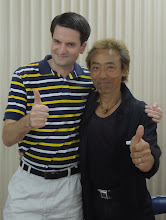 At the end of the event, I was saying my goodbyes when Kimura-san asked where I lived. When I mentioned my neighborhood, he told me it wasn't too far from his home, and so he invited me to ride in the car with him. (It sure beat taking the train back, that's for sure!) It was certainly a unique experience, and thankfully the driver didn't seem to mind the short detour to my neighborhood. THE STREET FIGHTER RETURNS! Japan's Greatest Action Star Is Back! Sonny Chiba. Photo by Brett Homenick. 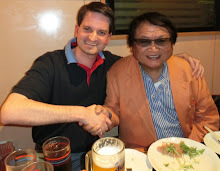 On Saturday, January 20, I was fortunate to attend a special event also attended by the legendary action star Sonny Chiba. 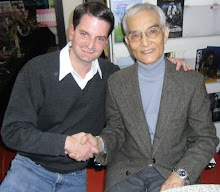 While Chiba-san is best known internationally for his roles in '70s actioners like The Street Fighter (1974), I'm more interested in his tokusatsu roles, such as Invasion of the Neptune Men (1961), Terror Beneath the Sea (1966), and Message from Space (1978). Naturally, Chiba-san found himself the center of attention, even though the event was not even about him. (It was both a birthday event for one of his business associates, as well as a shinnenkai). It was a fun event with many luminaries in attendance from the sporting world (so naturally I wasn't familiar with any of them). 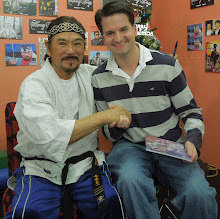 But it seemed everyone was most interested in meeting Sonny Chiba, and I can't say I blame them. 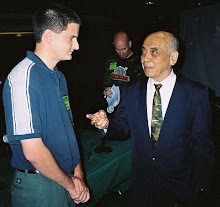 Masami Tayama. Photo by Brett Homenick. Immediately after work, I attended Masami Tayama's latest live performance, this time held at a nightclub near Omori Station. It's quite interesting to me just how familiar most of his songs are becoming to me. Naturally, it was great to see him again. Tayama-san alerted me to this performance just days beforehand, so it was rather lucky I was able to attend. I'm very glad I did. 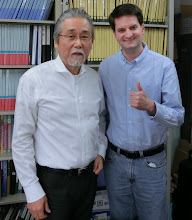 Actor Yosuke Natsuki in his office in September 2014. Photo by Brett Homenick. The Japanese media is reporting that former Toho actor Yosuke Natsuki passed away on January 14 of renal cell carcinoma. He was 81. 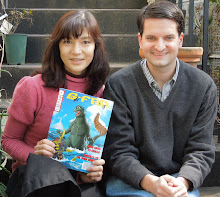 Mr. Natsuki starred in three of Toho's monster movies: Ghidrah the Three-Headed Monster (1964), Dogora the Space Monster (1964), and Godzilla 1985 (1984). He also appears in Akira Kurosawa's Yojimbo (1961). 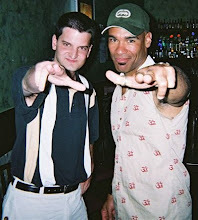 I'll always miss his kindness and rebellious spirit. Rest in peace. Just a quick post to show you who now reigns over Roppongi. I'd imagine things are a lot more peaceful there now. Actress Yoko Takahashi. Photo by Brett Homenick. On Sunday, January 14, I attended a special event with actress Yoko Takahashi. 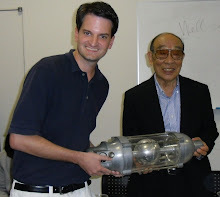 I've blogged about Takahashi-san in the past. She's an actress whose best known credits are the Academy Award-nominated Sandakan 8 (1974) and Kon Ichikawa's The Devil's Ballad (1977). 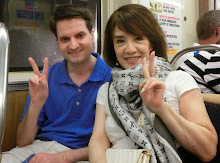 It had been about a year since I last met Takahashi-san, so it was great to see her again. She's an extremely friendly actress, and each time I see her is a lot of fun. ULTRAMAN LEO IS BACK! Ryu Manatsu Returns to Fight Monsters! Actor Ryu Manatsu. Photo by Brett Homenick. 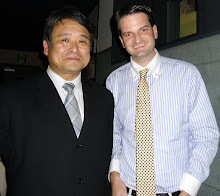 On January 16, I was happy to meet actor Ryu Manatsu for the first time. 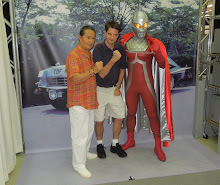 Manatsu-san played Gen Otori, Ultraman Leo's human alter ego, on Ultraman Leo (1974-75). It was a fun meeting for sure, and I hope there will be another one in the near future! While in a Japanese bookstore today, I noticed another Godzilla: Planet of the Monsters collaboration that I had missed in real time. This time, Godzilla teamed up with Kadokawa Bunko for "Kadofest Saikyo Kettei-sen 2017." In any case, it sure looks more interesting than the actual movie. SCI-FI FILM HISTORY IN POSTERS! 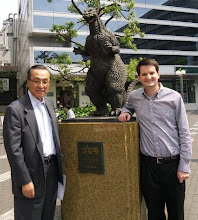 Godzilla and Other Kaiju Hang Around Tokyo's National Film Center! Today, I stopped by the National Film Center, situated right next to Kyobashi Station, to take in the exhibit called "Film History in Posters Part 3: Science Fiction and Monster Films." The first part of the exhibit focuses on international sci-fi films, such as Star Wars, Close Encounters of the Third Kind, John Carpenter's The Thing, Stalker, Videodrome, among many others. 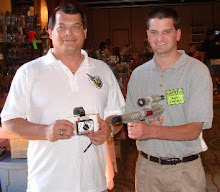 Of particular note was a vintage Star Wars poster that had been signed by a large number of the cast and crew of the original film. The other half of the exhibit focused on domestic sci-fi films. On display were two enormous posters for Mothra (1961) and King Kong vs. Godzilla (1962), which I'd never seen before, and were full of interesting details. There was also a large poster for Battle in Outer Space (1959) that, while not quite as huge as the two others, was just as mouthwatering. It was great to see Blue Christmas (1978) and the little-known Frankie the Spaceman (1957) represented among the more famous kaiju titles. Even War of the Insects (1968) got its due here. Suffice it to say, I was quite impressed with the variety of the exhibit. "Film History in Posters Part 3: Science Fiction and Monster Films" runs until March 25, so if you have a chance to see it for yourself, do so! Super Festival 76 was held today in its usual location, the Science Museum in Chiyoda Ward. While there were a number of interesting figures on display, I was probably in and out in record time. Not much has changed since I was last there, and the things I was interested in buying (a couple of vintage card sets) were priced higher than I was willing to pay for them. Oh, well. 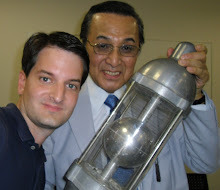 The highlight of the afternoon was seeing Return of Ultraman (1971-72) suit actor Eiichi Kikuchi again. Otherwise, it was a rather lackluster time. Anyway, on with the photos.